As the premier home improvement company in the San Antonio area, 31-W Insulation installs some of the best garage doors on the market. Made by the trusted manufacturer Amarr®, a 31-W door is designed to withstand virtually anything that Mother Nature sends its way, from pounding hail to high winds, which means that hard daily use will be a piece of cake. All of our doors are constructed from heavy-duty materials for exceptionally long-lasting and low-maintenance performance. In other words, this could be the last new garage door most homeowners will ever need. We can come to your home to help you choose the options that suit your aesthetic preferences and determine which door meets your functional needs. Once there, we can also provide you with an estimate that will reduce any uncertainty. As a family-owned and -operated company, we understand that home improvement projects can involve major decisions, so we will take the time to answer any questions you have. After you select your door, you can expect to feel fully confident in your investment, as our doors come with a robust manufacturer’s warranty in addition to the one-year labor warranty that covers the installation by our factory-trained technicians. 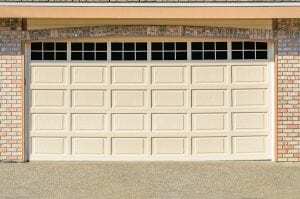 End your search for a new garage door at 31-W Insulation. Contact us today and schedule a consultation at your San Antonio home.